I can't believe another week has gone by, the end of the year is hurtling towards us at a staggering rate of knots! * after weeks of no calls, three different potential buyers wanted to view the cottage ... all on the same day and with only a few hours notice. Typical. I still haven't managed to book a break for us yet, I'm so indecisive and unbearably fussy. I think it's because we get to spend so little quality time together that when we do, I want it to be absolutely perfect. I feel like I've got to find the perfect place to stay, with the perfect restaurant, the perfect things to see and do ... I put so much pressure on myself that it's stopped being fun and turned into a chore. And to be honest, when we do get to have a break from it all, we're so knackered that we spend most of our time asleep so it doesn't really matter anyway! I really must get on and do it this weekend though. The dogs have been super cuddly today, Wilson particularly. He's quite a cuddly dog anyway. If you crouch down to his level he comes up to you, sits down and buries his face as close to you as he can get, he's so cute. Jessie gets very standoffish when I cuddle him, she gets this wounded look about her and shuts her eyes as if she can't bear to watch! They are so jealous of each other! This weekend I'll be priming skirting boards at the new house with my new paintbrush (exciting eh??) and buying a new vaccuum cleaner. It's non stop fun around here isn't it?? I owe the dogs some good walks and we've got another house viewing tomorrow so we'll spend the next 24 hours tiptoeing around and trying not to make any mess. I hope, for your sake, that you have more exciting plans for the weekend than I do? 250 miles is a long way to go for a meeting! Cripes! Pumpkin Spice Latte sounds like heaven though! It is! I stayed overnight so I didn't do the whole journey there and back in a day but it still ruined me for the rest of the week. You've hit the nail on the head - I do feel personally responsible if things aren't 100% perfect. I'm taking a couple of weeks off work next month so there'll be plenty of pottering for me but you're right, I do need to get Matt away from home otherwise he's either at work or working on the house! and i also really love your blog here..found it over wonderforest. 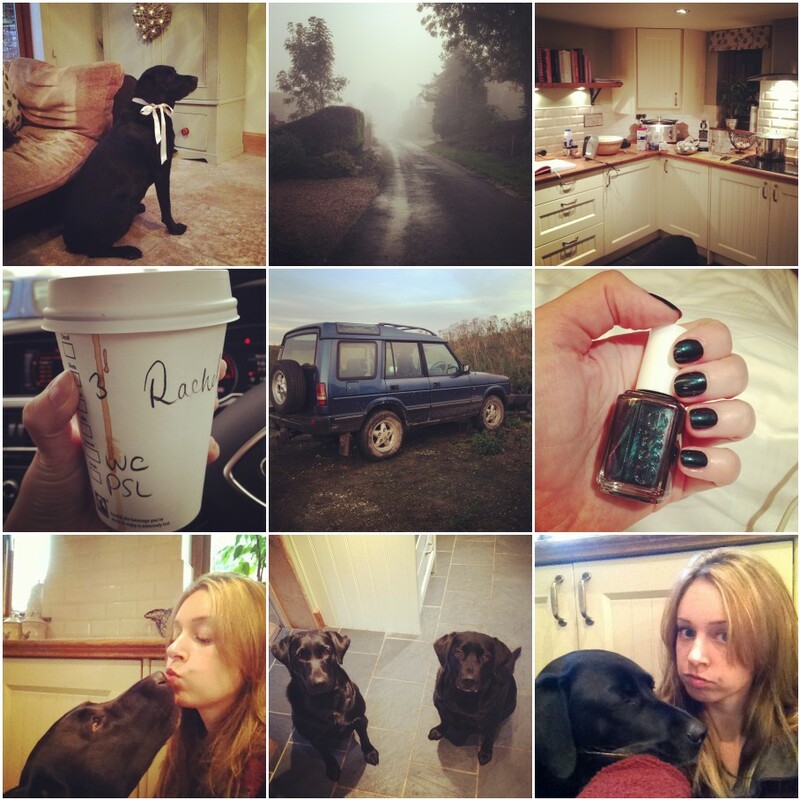 I just found your blog via Cider With Rosie and I just adore your blog! Your puppies are SO adorable! !